Tidy facility with hospitality like it came from home. Readily available and easily accessible carts. Very secure trespassers beware! Couldn't ask for a more fit storage! The paperwork process was very quick. Tiane was very helpful, efficient and provided EXCELLENT customer service. Brandi was great to work with and provided me with great quotes!! Extremely professional. Thank you ladies!! Stax up Storage is GREAT! I have used them for my storage needs for 5 years and I highly recommend them. A very good experience! Friendly staff & clean bathrooms! Super- nice people. The customer service is really great. This girl Tiane is amazing made my day with her smile and attitude I really enjoyed working with her on my account here at StaxUp. Keep up the good work! I appreciate the nice clean facility thanks. Has been an amazing experience here super clean and the nicest staff that is super easy to work with and always happy. Great location and clean storage space !!! great place ! secure and clean staff is amazing! Awesome management staff especially Tiane and Brandi - Newer units too!! Five stars to Brandi and Chad they are very nice, patient, informative, understanding and professional. They always have a smile on and willing to help. They are so accommodating and each unit is easily accessible from more than one entrance. These guys are really easy to talk to. I spoke with a lady named Marshantia and she was very helpful and had great customer service skills she's a great asset to your company. Amazing service. Extremely helpful!! Overall would recommend to anyone and everyone. Tiane was very professional and attentive the facility is always 100% clean/ spotless Brandi and Chad are great ! Clean, Safe Conveniently located facility. Excellent customer service. Site Manager Brandiye is the best!! Professional, Competent, Courteous exemplary employee and Kind also!! A true asset to Staxup Storage. from a loyal - "over- storaged" long time customer. I loved doing business with Staxup Storage. The facility was always clean, well kept, and maintained. Their pricing was competitive and fair! They could have charged more, but because of their strong business ethics they did not. The storage facility is much nicer than other facilities I researched. All this said, the greatest asset to Staxup Storage is their staff. Brandy and Michael are professionals through and through. They are always on top of things, friendly, and helpful. All my interactions over the past year have been positive. Both my mother and I had units at Staxup Storage and were very pleased with the service and condition of our units. The initial start to the final closing has been a pleasure. Love the fish awards! You've earned them. Thank You! Great people, great service. Reasonable rates. I highly recommend this place. Thank you for taking the time to do your daily rounds and keeping my belongings secure. Stax was great work with. Very friendly staff and clean/ secure units. Highly recommend them! Staff was very friendly and storage place was exceptionally clean. Moving in was a dream. Brandy helped us select an appropriate unit and her attitude was fantastic. Wonderful Service, So grateful to have good people lookin' after my stuff. All Love!! Brandi and Chad do an excellent job as Managers and they are always very helpful. Nicest facility around! I have never had a better experience. I was with StaxUp for 10 years and today I moved out of my unit. I was expecting the worst as I had in the past at other properties, dirt, mice, and such. I had nothing barely any dust. I will definitely come back if I am in the area. Thank you for keeping a clean facility. I have had a unit here for 7 years. Brandi is the best manager I have ever dealt with- Always considerate and willing to work with you. Awesome storage units, very clean secure, safe and convenient. The service is the best I ever received at a storage facility. Brandi, Chad, Jim and Mike are great! Jim really cared about making sure I had everything I needed and noted I need a circle lock and he was courteous and had concern for my safety. 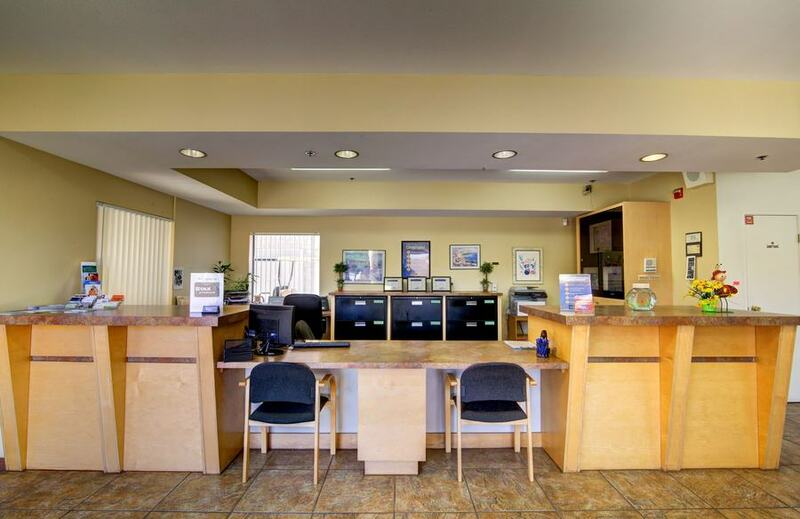 This is a well-maintained facility with friendly management and employees. This place is always a pleasure coming here when Jim is here. He is always so helpful and has a great personality. He always lets us know about the auctions. "I have been here for quite a few years. I have been happy here for quite a long time. Chad and Brandy are top shelf quality management as well as rest of them . Thank you so much!" Great management team. Loved working with them. They were friendly and every helpful . Sorry I had to leave. Great place, great first month deals, great personal! All around a great place to store your stuff!" Michael helped me on my move in day. He was very kind and efficient. I also lost my security codes and the staff helped me even though it was after business hours. Awesome place! I recently within the last couple of months received a very high rent increase for the storage unit which was not only a bit abrupt but more importantly a BIG jump in price. The price jump was $38 per month in addition to what I already pay . I realize these things are inevitable but that is a $38 increase per month (That's my gym membership times 3 and then add 8 bucks). I paid less than that for an apartment rent increase not too long ago? I went with StaxUp initially because it was just a BIT cheaper than the competition and now it is far more expensive. It is a major pain too because once you have all your stuff in the storage you don't want to move. Slick move eh? I have nothing at all negative to say about Brandy, she's great. Hence the 2 stars (It would have been 1 star), the increase is far too high and I will be looking around for other units. Take my warning and be aware of the steep increases after you get comfortable here folks. Secure, clean and well run. Far better than any other storage around. Very safe, I don't have to worry about anything at all. Friendly and efficient sign-up. Loaned us a vehicle. Brought carts. Very clean facility. Truly a bargain. StaxUP Storage is the best! Brandi is fabulous, as is the rest of the staff. Everyone is friendly, and the units are clean, easy to access and feel totally secure. I highly recommend StaxUP Storage. A great place to rent storage. Convenient and kind staff. Brandi is great. This place has excellent service. I love it. Staff (Brandi, her husband, and dogs) are first- rate & terrific, a real bonus + asset for the company. Facilities are good, with decent maintenance, and ample access times and space to reach unit(s). Everyone at StaxUp was very pleasant and helpful, I would recommend StaxUp for anyone needing storage. I have had several different sized units @ Stax-up for almost 10 yrs! The mgmnt is xlnt & units are clean & well maintained. I've never had a single problem! Awsome place, I'm highly satified with their business. Great prices for he size unit- I really like the option of paying online! StaxUp Storage was the best storage place I looked into. They offered great customer service and were clean and friendly!! Great prices too! Great, Quality services, units are nice, dry, and clean. Very close to the college for convenience. We are returning customers! While overseas for 2 years, we needed a place to store our household - safely and convenient to our son to have access if necessary. StaxUp San Marcos is perfect - friendly service, clean, well lighted, and secure. This storage place is very clean, love the idea that it is open till 10:00 pm. The help/workers Brandi and Chad are very extremely accommodating. With all things considered it has been a good experience here. I have rented this unit for the past 6 years. I have been very satisfied with the unit and service. Brandi did a great job and made the process as easy and painless as possible. Had to get rid of a bunch of stuff so Brandi showed me the unit, walked me through the details and before I knew it everything was done and I loading up the unit. Thanks again Brandi! I love this facility. Open late, very clean. Friendly workers and easy access. I like the flatbed hand carts. Great price and location! I love the inside storage and security makes me feel comfortable. Evan is always a big help and very pleasant! Very happy w/ the decision to come here. Evan is a great, great employee. Helped me out w/ all and made it all very easy especially w/ how low the rates were. Very Professional and friendly staff. Entire property is clean and very well maintained. Easy access. The Manager, Brandy is awesome and always so helpful and friendly. Clean and secure. Dry and Un-cluttered. The staff is very helpful. Great experience. Brandi is very professional and eager to help. The unit is very clean and I feel very comfortable leaving my belongings at this storage facility! WOW... absolutely fantastic! Service was so quick & efficient, friendly.. (brandy & Chad) so happy we chose StaxUP!! (we researched a few)... just straight up.. what you see is what you get as far as the pricing (other storage facilities add on things in the contract once you get there!)... these guys are awesome!! web on-line payment setup also super easy. Highly Recommend!! Rented here 5yrs ago and came back ! Thank you for the awesome service that you have provided! Its been awesome! Everything has been great and excellent staff. My first time rental experience was wonderful! Brandi was Friendly and explained everything to me to my understanding . She's doing a great job. I have stored items here for 4x's and Brandi/all have been wonderful. Highly recommended as long as managers stay the same. Excellent customer service and always a pleasure to do business with them. I am so pleased with our experience at the StaxUp Storage facility in San Marcos! The facility manager Brandiye Fleming has done everything possible to accommodate our needs. The facility itself is clean and completely secure. I highly recommend them for your self storage needs! Safe (convenient) best price to store items. Friendly environment. Very courteous. All accounting accurate. Clean facility. Brandi was very professional & accommodating. She made my rental experience very pleasant. Excellent Customer Service. Been a happy customer for years, and will keep you in mind when I acquire more junk. We looked at many different storage companies and when we met Brandi and toured StaxUp we were completely sold to using their facility. Its clean, well maintained and secure. Our treasured property is safe and secure. Brandi understands "customer service" and what it takes to keep her customers happy and feeling appreciated. We would recommend this StaxUp facility to anyone interested in keeping their treasured goods. We have been with this storage unit for over 5 years, both for personal belongings and for work. This facility has provided excellent service with a safe and clean environment. If you are looking for a storage facility that cares as much as you do about your stuff, store here! StaxUp Self Storage was the best customer service experience I have had in many years. Great service affordable rates. If you need storage StaxUp in San Marcos is the place. Thank you so much for the careful attention you give to your business and our storage, It is very much appreciated. Management is extremely well organized and helpful.So great that this company gives back to the community by allowing Girl Scouts to allow our cookie cupboard at this location. I would recommend this storage facility because its clean and I felt safe (some storage facility places are scary). Want to thank StaxUp Storage San Marcos for providing a great place for the Girl Scouts to use as a cookie cupboard during our 2013 cookie sales. As the cookie manager for our troop, I visited the facility quite often and found it quite accessible, clean, and offered wide lanes between storage units so there was never any traffic. Management was quite helpful in giving guidance to when and where pickups occurred. Thanks again and here's hoping the Girl Scouts can rely on your support for our 2014 cookie sales. I have had the opportunity to visit the San Marcos facility numerous times this year as I'm a Girl Scout Cookie Manager and the cookie cupboard for our service unit was located in one of your storage units. It was so convenient and the property was always immaculate. In addition, I was impressed with the efficiency and friendliness of your staff. Thank you so much for supporting girl scouts. I would recommend your storage facility to anyone I know looking to rent a storage unit! Great Location!! Super clean! Management is extremely well organized! So great that this company gives back to the community by allowing Girl Scouts to house our cookie cupboard that this location. Excellent experience!! This storage facility is very conveniently located and very safe. Excellent and friendly service by Brandiye at the front desk. The units are well lit, clean, and secure. This facility is great to use with very easy access. The owners/management are very supportive of the Girl Scouts by allowing all the troops in Escondido to use this facility for our cookie storage and pick-up during GS cookie season, which is so appreciated! Whether or not it's for that purpose, the facility itself is great. It is clean, everyone is very friendly and helpful, and I always feel safe and welcome there, which has not been the case with other storage facilities I have used in the past. I would definitely recommend this facility for anyone looking for easy in-and-out, friendly helpful staff, and a clean, safe environment. The facility is clean, well-organized, and employs helpful and friendly staff. I was very impressed with the location and staff while visiting the Girl Scout Cookie Cupboard on site. All around great impression! This facility is very clean, well secured, and the staff is exceptional. The units are well maintained with easy access. I used this facility for the past year and couldn't be happier with the service. I was very impressed by how clean and presentable the facility was kept and both Brandi and Yesenia were great with helping me with any issues I had. Thank you StaxUp for the great experience! I have always appreciated the prompt and professional service at StaxUp Storage in San Marcos. The facility is super clean and convenient. They also donate space every year for local Girl Scouts to store and distribute the massive amounts of Girl Scout Cookies they sell every year. The staff is generous to donate their space for us and help us out when they can but one thing I always noticed was how each and every client I have seen walk into Brandiye's office gets prompt, uninterrupted attention. Some of the BEST CUSTOMER SERVICE and community involvement I have seen in a long time!!! Stax Up is a great facility. Safe, secure, clean and well maintained. The staff is helpful and knowledgeable. Last year this facility allowed Girl Scouts to maintain a cookie cupboard on site. The use of a storage unit for this purpose was such a generous gift and goes a long way in showing that they support the community too! This storage facility is great. The units are clean and the grounds are neat and clean. The management was very nice. We really appreciated that they allowed the Girl Scout cookie cupboard to be located here. It was very helpful and I would never have known about this place for my own storage needs if they hadn't had it there. super clean, in fact immaculate. units are well tKen care of. Phone calls are answered very quickly and so friendly- I always feel welcomed. Ofice is well maintained and staff seem extremy organized. I highly recommend this facility. I just wanted to say how nice it is that the San Marcos facility allows the Girl Scouts to have a cookie cupboard/pick up unit. This facility is always so clean (which is good when thinking of food storage) and the gates always work. It's just such a great thing during our cookie sales to have convenient places to fill the orders that we have so that our girls benefit from selling as much as they can. I hope we get to continue using this cupboard as the location is very convenient and the staff on site are always helpful and friendly. Thanks for doing a great favor to the Girl Scouts! Very clean and wonderful management. Very helpful with any questions or concerns. I would highly recommend them. Brandi and team were always very personable and helpful. Han no problems whatsoever the year that I've rented from StaxUp. Best storage I've ever used. Friendly, clean, and professional. Brandi is helpful and cheerful. I am very happy I found this company. Brandi is Excellent!! Big Asset to your company! The office staff was amazing, made a difficult move easier. The ladies were helpful, thank you. Staff here (especially Brandi) are very helpful, professional, and pleasent. Facility is very clean as well. I will always use StaxUp Storage at anytime. Love this place! We have not been in our storage unit to check on it in many months- so I was afraid it would be very dirty. We were very happy to find the facility spotless outside and our unit didn't have any dust or mice!! Brandi obviously works very hard to keep her facility clean. Brandi was very helpful and insightful. She made things very easy! Brandi the manager is a hard worker and helps make StaxUp the best Storage rental in town. The facilty is clean and welcoming. They do not leaf blow ashpalt dust under the doors. it is all conrete and they sweep. Brandi has also worked with me on my payments in the past when I have needed it. Every time I see Brandiye, she is always happy and pleasant to do business with. I enjoy her contagious smile and attitude. I had a unit for 3 years, no issues at all. Very reasonable rates, clean units. I would use this facility again. Clean facility, great prices and fantastic customer service! Clean and safe environment. Excellent management and on site staff. Anytime I move, this is the place I rent a storage facility from. Quick and friendly staff. Reasonable prices. Clean. Well run. Secure. Very friendly and helpful staff. Just what you want. Clean and helpful! Happy storage renter here! This is a great storage facility. The faculty is really nice and helpful and the units are clean and nice. I would definitely recommend Stax up. The Best, everyone is friendly here, price is right. Always helpful and quick to respond to any issue you might have. Friendly and kind. So good I have not really cared too much about the rent increases over the past 5 years. LOL .... but truthfully, the rent is much higher than I would typically wish to pay. I simply don't want to move my things again (for now). Great price, location, courtesy. Security is good too and a lot of good offers to help it be an efficient way to store items. Doesn't even have a funny smell like other storages. nice clean facility , with a staff that has helped me out more than once ! Great Storage units. Amazing service from Brandi, Jim and all the other staff at Staxup. I highly recommend this location. I have been a customer of StaxUp for several years now. I chose this location, due to location and the security of the property. Also it is always clean. I do enjoy the complimentary music that is playing inside the building. Not to mention the friendly staff. Staff is friendly and efficient, with a clean and well maintained facility at competitive prices. Clean, friendly staff, good hours. Love it! Great place! Love the free truck for move in and out. 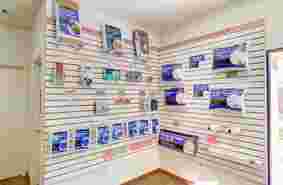 Great costumer service, very friendly and helpful with questions. Storage units are also clean, and have good prices. Great customer service! Brandi worked with me and made my experience a happy and easy one. Between moving and all the things that come with it, it's nice to have things go quickly and smoothly. Brandi at Stax Up Storage is amazing. I was a customer with the facility for years and now own a moving company Jumpmovers and we suggest Stax up Storage all the time to our own customers. The facility is always clean, has great hours for someone who wants in at an earlier time and or being able to stay a little later then most storage companies. Make sure you give them a call and get your unit today before its rented out to someone else. I have had storage here since 2002. I really like it because it's secure (never had any problems with security); centrally located; and they have the best access hours--open till 10PM-- which is really convenient when you need it. and good customer service--Brandi is the best! We found this place by accident, but are thankful we did. They have very good customer service and they also have online specials, which is great. They offer a truck to use to move your stuff. You just need to reserve it. They also give you a tour of the place and also give you tips as to when to move your stuff so you can avoid the sun as much as possible, since it has been super hot lately. I would highly recommend this storage place. The best by far! Excellent customer service, great laugh. Took care of business efficiently, but very friendly. Thank you! Wonderful staff, wonderful place. The property is clean, inside and out, well-maintained, secure, and the prices are very reasonable. I've been a renter here for over ten years and never had a problem. This is a great storage place. They keep you informed about what is going on with your account and call you to remind you. I think that Brandi is one of the nicest people, very easy to talk with and willing to work with you. Literally "as good as it gets". Everything about this place is stellar. The place is very well run. It's always SUPER clean, which I find so important in a storage facility! Brandy is the most friendly and accommodating person ever! I value her customer service sincerity and genuine pleasant disposition. So refreshing! And I am always grateful that they don't overcharge for space. I've rented other places, but this is the 3rd time I've rented here! There's a reason I'm always back. They do offer automatic payment debits, too. Before renting you should know that you have to have a "customer goods protection plan" that you can purchase there unless you have your own insurance. My experiences at Stax Up storage has been excellent for many many years. The staff has been very accommodating and very friendly throughout the years! 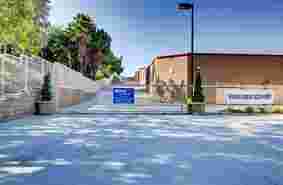 Our storage facility was built in 2002 out of concrete and steel in the beautiful city of San Marcos. 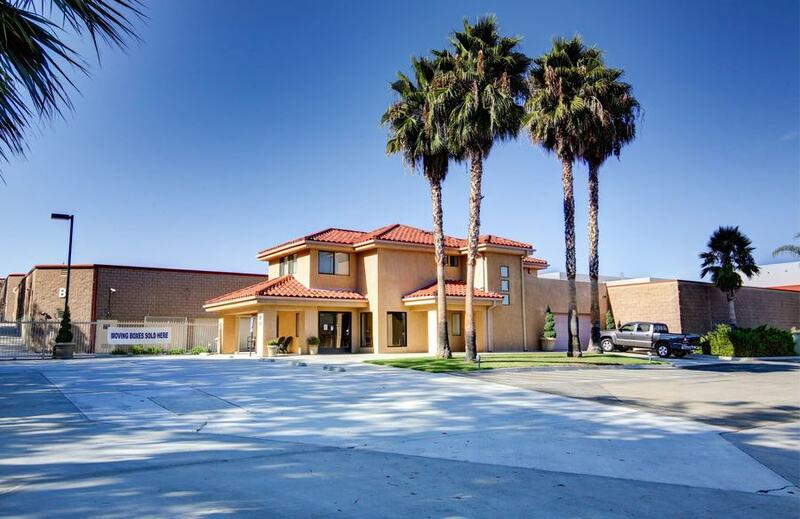 Located at 458 E Mission Road, StaxUP Storage – San Marcos is between the old Hollandia Dairy and the San Marcos Civic Center behind the karate studio on Mission Road. When you're ready to simplify your life with the perfect storage options to suit your needs, contact us right away and we'll help you get started! 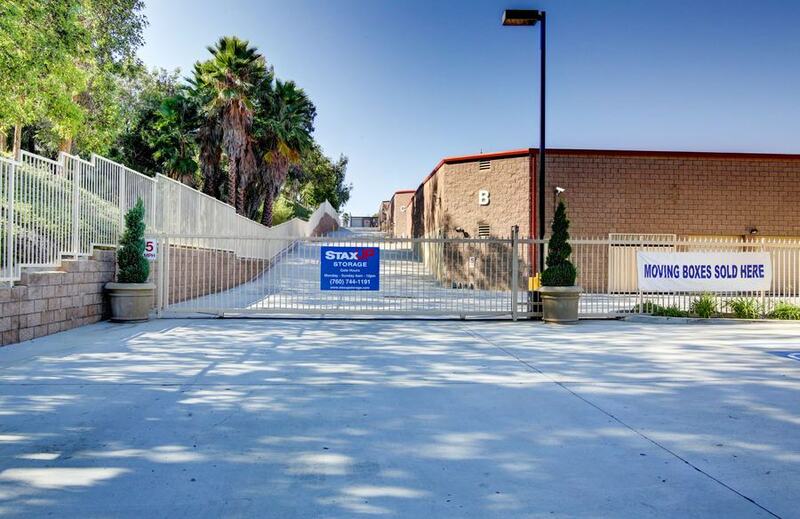 Our clean, well-kept facility is fully gated and the offers you the perfect place to store your belongings. We keep our facility well-lit at night and have a friendly staff that is always willing to answer your storage questions and help you through the process. Our facility on Mission Road is among the StaxUP Storage locations we’re most proud of. 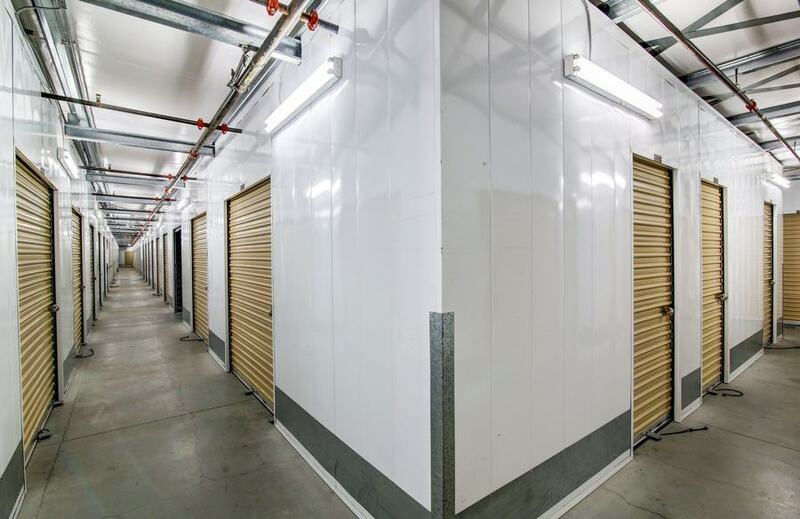 We offer temperature controlled storage units, which is hard to find in the area at such a great price! In addition to our affordable temperature controlled storage units, we offer drive-up access, facility truck rental, online bill payment, and a call center. Any time of day or night, you’ll always reach someone when you need to when you give us a call. We’d love the opportunity to provide you with the quality storage solution you deserve, so contact us right away and we’ll help you get started! Here at StaxUP Storage, we know our success is due to our wonderful team. The care they give our renters is unparalleled and we want to highlight their milestones along the way. Below is an interview with San Marcos, CA team member Brandi Fleming, who is celebrating her 11-year anniversary with StaxUP Storage. Brandi Fleming is a Senior Team Member at StaxUP Storage in San Marcos, California. You can ask Brandi for self storage help at StaxUP Storage in San Marcos, CA. Colby: What anniversary are you celebrating this year? Brandi: I am on year either 11 or 12. I can’t remember. Colby: After a while the years just tend to bleed together, don’t they? What initially attracted you to StaxUP Storage? Brandi: I was a manager at a property at a different company. When I was looking for a different area, we were offered to come down and we jumped on it! Colby: So what’s the biggest difference between the old job and StaxUP? Brandi: The company is so much more family oriented. I felt at home within the first year, and I realized early this is a company I could probably grow with. I was also excited to be here, I have never thought of what I do as just a job, for a long time I have known that this was my career and something that I could grow in. Colby: Do you have a favorite story that you like to tell about the industry or about what it’s like to work there? Brandi: I don’t really have a story I just really enjoy the customer service. You know, it’s one of those jobs where you’re not always stuck inside the office, and you’re not always outside. It’s indoor/outdoor, and you get to talk to people, the tenants that are there the longest become almost family, because you see them so much, and I really enjoy that. Colby: So what’s your favorite thing to do when you’re not at work? Brandi: I am a girl scout leader. I have had the same troop since they were in first grade. They are all graduating this year. Five out of my seven girls have been with me since brownies. They are like family you really grown up with them. It’s actually like having seven more girls sometimes. That’s what I did when my daughter asked for a sibling, I put here in girl scouts instead. Brandi Fleming is a Girl Scout Troop Leader when she’s not at her facility. Colby: So do you have a go-to place for lunch time? Brandi: I would have to say for food that Slater’s 50 / 50 is a really good place. They have all the best burgers and you can get them your way. You can’t go wrong with the Cow Shed, which is 400 feet away from my office and they have a great grill. Colby: Is there anybody that you would you like to give a shout out to in celebration of another year at StaxUP? Brandi: Oh, gosh, everyone in the home office. The encouragement that we get from them is just amazing and Julie has been just an awesome boss. I don’t even like calling her my boss, but she’s my boss I love her.